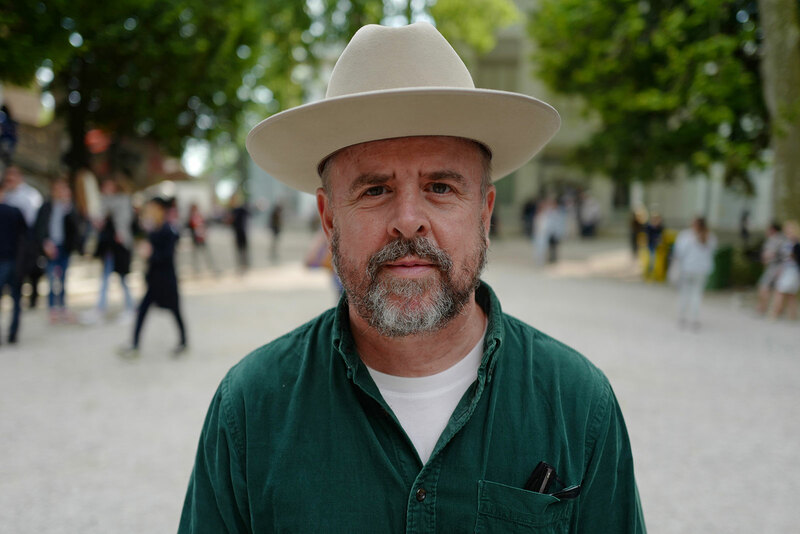 Cities and urban planning, typography and toothbrushes – American documentary filmmaker Gary Hustwit is known for turning his enquiring lens on the things we take for granted and showing them in a new light. Hustwit started out producing feature documentaries before making his directorial debut in 2007 with Helvetica, an in-depth exploration study of the ubiquitous Swiss typeface, which became an indie hit around the world. He followed this with Objectified in 2009 and Urbanized in 2011, forming a trilogy that has gained him a cult following among the global design community. 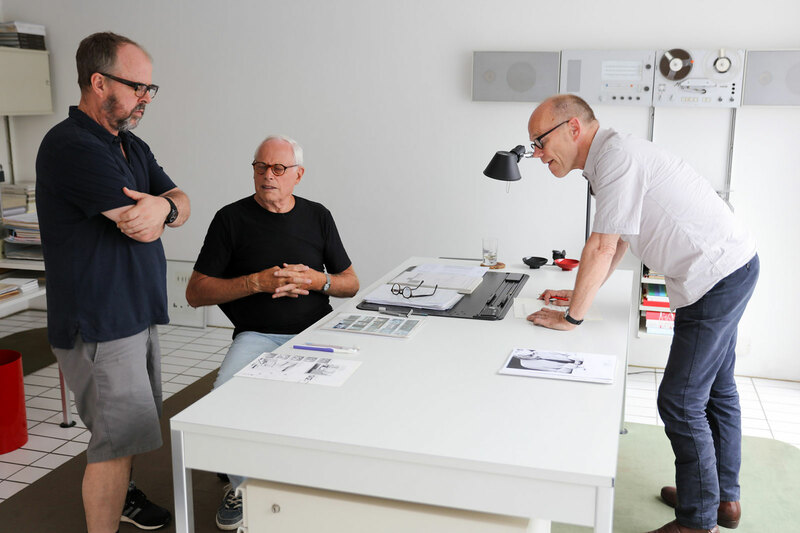 His current status as the star player in the design documentary firmament looks secure for some time with the release of his upcoming film, Rams, about the pioneering German industrial designer Dieter Rams, accompanied by a soundtrack by Brian Eno. Wallpaper* caught up with Hustwit to discuss the making of Rams, which hits screens this autumn. 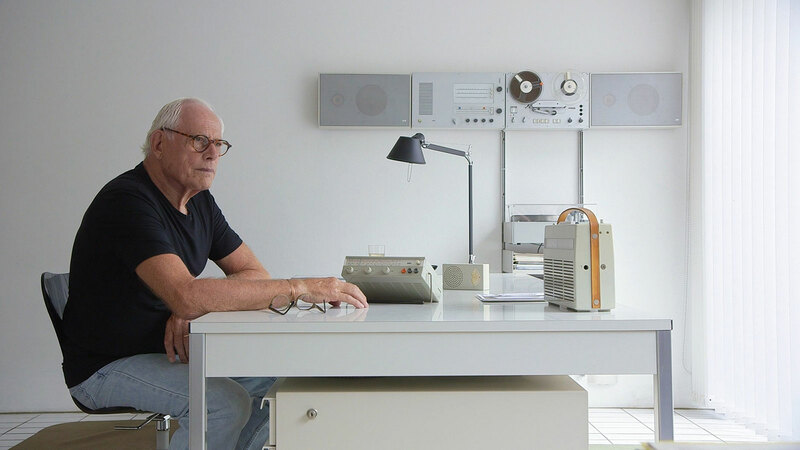 Wallpaper*: Why did you decide to create a documentary about Dieter Rams? Gary Hustwit: His ideas are really timely, in the sense of living with less, but with things that last longer. He deserves a documentary because of his influence on other designers and on ordinary people. I grew up in southern California in the 1970s and had all this Braun stuff around me, like the alarm clock and my dad had the razor – these products had a global impact. Also I like that he regrets being a designer now, that was fascinating to me and something I wanted to explore. When I first approached him, he didn’t want to do it, he said: ‘I’ve told all the stories before. It’s in books, I never want to deal with it.’ He doesn’t love the media, but my argument was that a documentary would have a completely different audience compared to a beautifully printed book and that this is about conveying your ideas to the next generation of designers and consumers. This is a big part of why he agreed. I also couldn’t believe there wasn’t already a Dieter Rams documentary. A lot of films I get involved in are born out of that question: why doesn’t it already exist? W*: What are Rams’ ideas now? GH: He’s environmentally conscious, he’s been talking about sustainability since the mid-1970s. He’s disappointed with how consumerism and capitalism and materialism have played out. It’s also the use of design as a marketing term, rather than it being about improving the world, which for that post-Second World War generation of designers was what design was about – the social aspect – teaching and rethinking the world and making it more democratic. He feels the film is a way of keeping his ideas part of the conversation and spreading them to a new generation. I am a big believer in that. W*: Dieter Rams is notoriously private, how receptive was he? GH: When I’m interviewing designers, they understand that I’m not just there because I got assigned to the job. I flew halfway around the world with my own money and I want to hear what they want to say. They know I am engaged and they’re engaged when we talk and that engagement transfers to the audience. Dieter is very private and fastidious about his home and in the past other film crews and photographers have come in and moved stuff around and brought in a ton of people and equipment and disturbed his world. When I visited it was just me and my cinematographer Luke and we didn’t have any lights or anything, it was really minimal. Dieter talked about that years later, how low impact we were on his home – it was probably the only reason he allowed me to return. W*: What is his home like? GH: When you walk into Dieter’s home it’s like walking into his mind. Everything there he designed, or was by somebody whom he knew or respected. You can see it from the coffee maker to the doorknobs to the closets to the desks – everything is something which he had a hand in. W* Was it daunting to try to replicate his quiet, minimal design aesthetic in your movie? GH: It’s easy with a Brian Eno soundtrack. I used Dieter’s ten design principles for the design of the film. As little filmmaking as possible, that was the mantra. I tried to make it really radically simple in terms of structure. Just being in that house, the backyard, the woods surrounding the house – you get a lot about his state of mind and his inspirations. It was his 85th birthday last year, he’s working with Vitsœ, he visits London quite a bit, he had an exhibition at the Vitra design museum, all of which we filmed. He’s still out there doing things, but he really wants to be back home in Kronberg. W*: You started out producing music documentaries, why switch to design? GH: I’d always been a design geek and was interested in graphic design and typography. I wasn’t a professional designer I was just a fan. Once I’d produced a few music documentaries and helped release the 2002 Wilco film (I Am Trying to Break Your Heart: A Film About Wilco, directed by Sam Jones) I got to see the process of documentary making and said to myself, “that doesn’t seem that complicated, I should try to make a film myself”. It was 2005. I couldn’t believe there hadn’t been a feature-length film about graphic design or typography. I wanted to watch a movie like that. Massimo Vignelli was the first person I emailed to see if he wanted to be in Helvetica and it went from there. W*: Design/architecture and music often seem closely interwoven, how do you see the connection? GH: Good question. I don’t know. I do know a lot of designers who are also musicians or DJs, or really into music. For me, music and filmmaking are closely linked. When I think of a film, even Rams, I hear it first. I think about what it should sound like and that spurs on what it should look like. With Rams I started that process without knowing what the music was going to be, but I had something in my head. Then I reached out to Brian Eno to see if he was interested in doing the soundtrack. Once I got the music from him it completely changed how I looked at the film visually. W*: How did you brief Eno? GH: I gave him a lot of raw film footage and let it inspire him. It’s always interesting, because it’s not what I expected, but when I watched it with the images it totally made sense – it also changed my thinking on pacing and structure. A lot of Brian’s music is ambient and that frees you up to make scenes, cuts or edits that aren’t to a beat. A scene can be four seconds or 40 seconds, it frees up the content and the story and what’s happening and doesn’t restrict you with the structure of the music. W*: Did Brian meet Dieter? GH: No, not yet, but he owns a lot of his work. The Vitsœ shelving and other pieces, that was probably one of the reasons he wanted to be part of the project. I had a feeling he might like his work, then it was confirmed when I reached out to his manager. There are a lot of people from different worlds that are fans of Dieter and live with his designs. W*: Describe your documentary-making technique? GH: You have to let things happen. Most of the time I’m discovering the story as I’m going along. It’s a little bit different with a single-person story because there are facts: Dieter was born on a certain day, he worked at Braun for a number of years, he made these things. It’s more about figuring out a way to get his ideas and life across in a cinematic way. It’s about spending a lot of time with the subject, filming them and a structure organically evolves out of that process – in this case over a three-year period. Documentaries are made during the editing, you put up the index cards with all the scenes and ideas and story points up on the wall and start shuffling them around until they make sense. W* Have any fictional film directors influenced your work, the shots of nature remind me of Terence Malick? GH: Not in a way I can identify. I like Malick and David Lynch is one of my favourite filmmakers. Lots of filmmakers I’ve watched are in there somewhere. But I like structuralist art films too, where a static camera focuses for 30 minutes on one shot. It is just about being there. Those woods across the street from Dieter’s house are a big part of his life and my experience of being there was walking through those paths. People don’t equate Dieter with nature, outdoors, forests and green. They think of this severe, white, clinical design. For him that’s about getting all these objects that we have to have in our lives and putting them in the background. All this stuff – like a radio or a bookshelf – it should blend into the scenery. It’s doing a job, so it’s very utilitarian and functional. For him it’s about prioritising nature above all this other stuff, trying to make all these other things as neutral and unobtrusive as possible. That’s a big part of his design. W*: What do you think will surprise people watching the film? W*: It’s a recurring narrative for artists, distilling their essence as they age? W*: What does Dieter think of the digital age? GH: He doesn’t have any time for it, he doesn’t care about it. He is incredibly well-informed, but doesn’t have any interest at all. He doesn’t have email. He doesn’t go online. His manager prints out email for him, but he can talk for length about Tesla. The first time I met him in the summer of 2008 for Objectified all he wanted to talk about was Obama and the election. He reads, he’s engaged, but he looks in horror at people with their phones glued to their hands as they walk down the street. He just finds it bizarre. W*: Has he seen the film? W* What’s your ambition for the film, there is the legacy of getting inside the man, but also a political message? GH: Yeah sure. Dieter says in the film: design is politics. It’s all political, it’s about the distribution of resources and economics and capitalism that goes with these things. For me I’m just trying to get across his messages in a form that fits his philosophies, that is simple and beautiful and is not screaming “look at me, look at me” – which a lot of media and documentaries try to do.